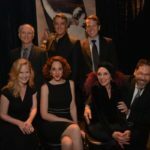 Our May PROJECT SHAW included five briskly amusing little plays, all of them rarely seen anywhere and one world premiere. 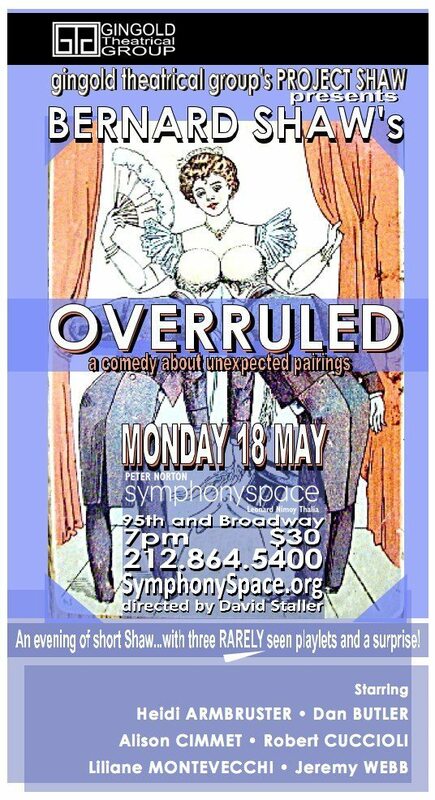 The story of Overruled follows two couples. Each pair has decided to take a trip away from their mate, to go around the world to reawaken their romance when they reunite. On the journey, each meets the partner of the other couple with surprising results. 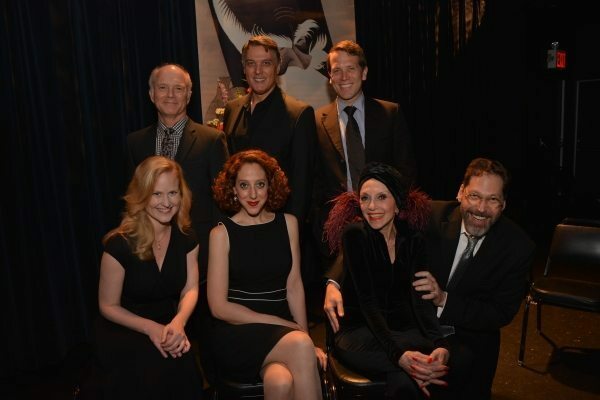 A play from 1912 in which two couples are determined to find romance…but not with each other. A little play from 1936 in which the concept of the creation of the state of Israel is examined. A world premiere of an English translation of Shaw’s first (1884) play, written in French while he was in his 20s!